The Captain asks Lucy, Harry and Viv to put on a farewell show for that evening, and so they have to hurry and get all the acts organized. 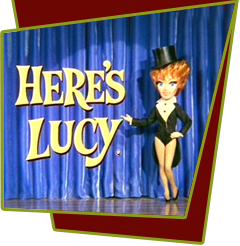 Utilizing Viv, the kids, and Harry, Lucy stages a spectacular musical. Special Notes: This was the last regular appearance by Lucy's son, Desi Arnaz Jr. on the show. He never intended to be on the show more than three seasons, regardless of how successful it was. He was also being offered jobs that he couldn't turn down, including the filming of "Red Sky at Morning" (1970). "Yellow Bird" is the last full musical solo Vivian Vance sings on a Lucy program.